Do flu shots make you nervous? Many people have hesitated to get their flu shots because they either have an egg allergy, or they are afraid that the virus in the vaccine might trigger a case of influenza. While the first worry does have some basis, the second worry is usually overblown. But now for people over 18 years of age, there is a new option. 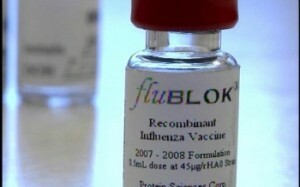 The FDA recently approved a new influenza vaccine called “Flublok”. I’m back to write a little about my favorite topic aside from Longevity medicine – aesthetics! If you’re a Longevity groupie, you’ve probably heard us talking on Beautiful You about aesthetic procedures, treatments, and medicine. Now I’m all for the “natural” approach…green tea, pure-distilled water, veggies, supplements without the unnecessary fillers, and properly-balanced hormones are all in Dr. Mixon’s arsenal for a long, healthy life. But what about the unfortunate result of sun, pollution, mother nature’s forces like wind, snow, rain, and even gravity and stress? All these take a toll not only on the way you feel but also the way you look. It’s just not fair! You may have taken good care of yourself your whole life, never smoked, always eat healthy, and exercise routinely. Still, you wake up in the morning to find an old wrinkled prune face staring back at you in the mirror.